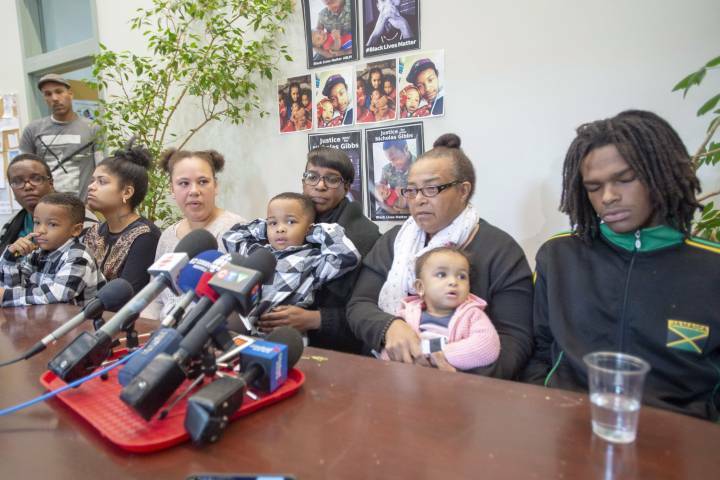 The family of the 23-year-old Notre-Dame-de-Grâce (NDG) man who was shot and killed by police on Aug. 21 is suing the City of Montreal. Nicholas Gibbs’ mother, sister and mothers of his three children are seeking $1,035,000 in moral damages and $100,000 in punitive damages. The Bureau des enquêtes indépendentes (BEI), Quebec’s independent police watchdog, is still investigating the incident. The family is hoping it will lead to arrests. 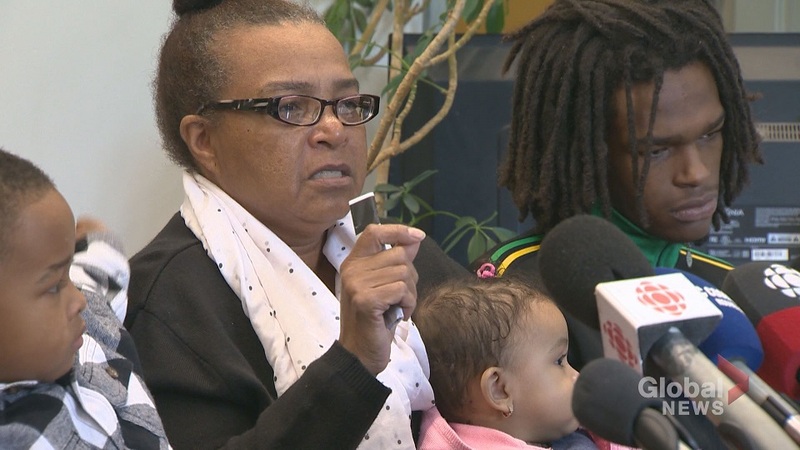 “No mother should have to bury their kids, it’s not right, I want them to be charged,” Erma Gibbs said at a news conference with her three grandchildren. The family also released an eyewitness video of the intervention. In the video, five gunshots can be heard. Two of the shots were fired after Gibbs turned his back. Lawyers for the family claim police could have approached the situation differently, and they say officers should have addressed Gibbs in English. In the video, officers can be heard yelling, mostly in French. “Everyone is talking French to him, this is in a anglophone neighbourhood and Nicholas is speaking in English and nobody at the beginning is speaking English with him,” Prosper said. The family is also launching a crowdfunding campaign to cover court fees. According to Gibbs’ legal team, it isn’t considered a criminal act when police shoot and kill, therefore the family doesn’t have access to the same support others would when their loved one is murdered.